What would it feel like to birth a monastic expression for the 21st century? Imagine if we gave people an opportunity to spend a season of their lives focused on discerning how they have been uniquely created to participate in the work of God's kingdom, while putting their hand to the work of mercy and justice in our city? What if there was a space where people could live and work in community, with lives fully focused on getting to the heart of some of their deepest questions? What if we expected that the answers to those questions would lead people to go do courageous things in the world? 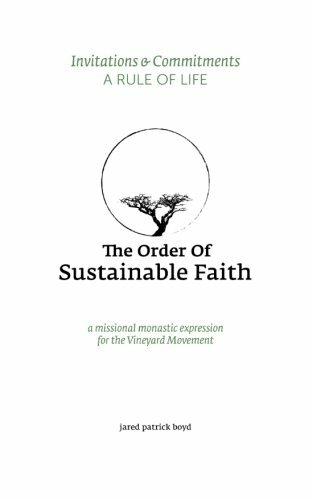 This urban expression of The Order of Sustainable Faith will capture the best of the monastic tradition — strong rhythms of prayer, manual labor, study, spiritual guidance, community & table — but will also be a catalyst for vocational discernment, and a place of long-term investment in the spiritual formation of others. As dynamic as the monastery is, the greater impact will come from the non-residential members, the diaspora: those scattered all over the country, living “normal” lives, observing the Rule of Life of the Order of Sustainable Faith. Click below learn more about how to begin our non-residential membership.